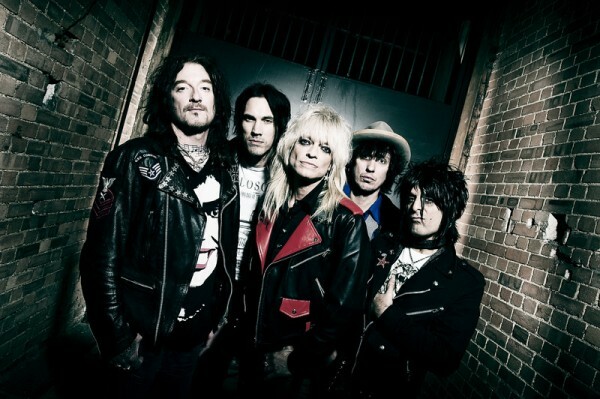 The rock-n-roll divorce is already final between iconic Hanoi Rocks singer Michael Monroe and Wildhearts guitarist Ginger, but the short-lived honeymoon sparked a bang of an album. 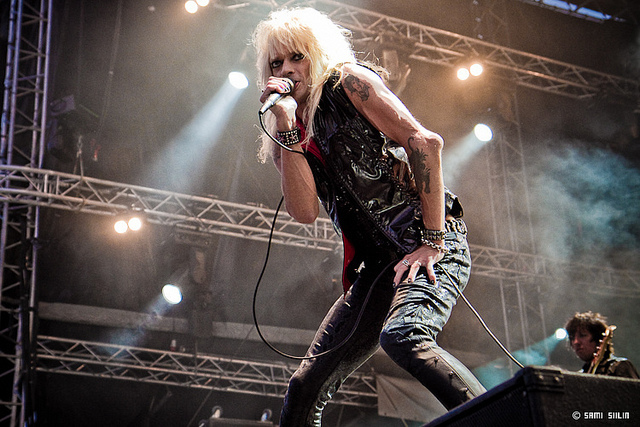 A glitter-specked jawbreaker of black-leather glam, “Sensory Overdrive” is, quite simply, the best Michael Monroe record you will ever find (unless “Demolition 23” turns up with your long-lost unicorn). The pairing of Glam Master Flash and The Wild One couldn’t go wrong as a bluegrass duo much less as leaders of an all-star gang of ruffian rockers rounded out by longtime Hanoi Rocks bassist Sami Yaffa, New York Dolls guitarist Steve Conte and Danzig/The Chelsea Smiles drummer Karl “Rockfist” Rosqvist. Add a speed-dialed cameo by Lemmy, a sultry surprise from Lucinda Williams and massive Cheap Trick-style vocal harmonies courtesy of famed producer Jack Douglas, and “Sensory Overdrive” has more magic ingredients than Cheech & Chong’s brownies. Opening track, “Trick of the Wrist,” is a relentless adrenaline boil of forever-young bravado that could exhaust even Iggy Pop. The Metallic KOs keep coming with the tongue-twisting rant, “Got Blood?” and the ready-to-fight “Center of Your Heart,” with its rollercoaster Yaffa bass line. While Ginger’s influence and Cheap Trick fixation are stamped across “Sensory Overdrive” like 100 tattoos, they’re at their most between-the-eyes obvious on “Superpowered Superfly,” which jangles and shimmers like the Wildhearts polishing an Elvis Costello gem. 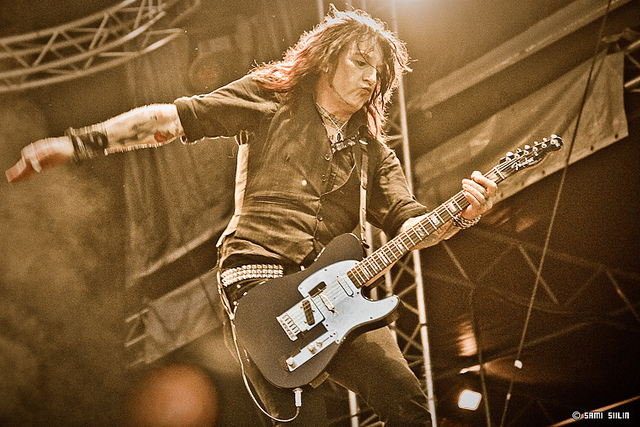 More Wildhearts echoes turn up in the stomping shut-your-face kiss-off, “Modern Day Miracle,” and the storm-from-the-gates, “Later Won’t Wait,” as it marries urgent lead vocals to soaring Cheap Trick choruses before downshifting to a smoky Monroe sax solo and broken-promise lament of, “one of these days, I’m gonna stop saying ‘one of these days.’” Whew! The crowning nod to Monroe’s Hanoi Rocks is the swaying, mid-tempo ballad, “All You Need.” A simple slice of thankful, look-in-the-mirror brilliance, the song carries far more weight than its chiming chords would imply. Like other “Sensory” tracks, it also takes flight on a huge gust of angelic backup vocals. Similarly, “Gone Baby Gone,” is a breezy, soft-rock country surprise that finds Lucinda Williams guesting on vocals that spiral beautifully into a chorus that soars like, dare I say, the Eagles (or Jackson Browne). Who knew tough guys could be so mellow? Like all truly great albums, “Sensory Overdrive” will drive listeners mad trying to pick their favorite song (it’s impossible and changes every three minutes). Too bad Monroe and Ginger have since parted ways, because their collaboration on “Sensory Overdrive” is a career highlight for both. It also stands as another trophy for Jack Douglas to add to his Aerosmith, Cheap Trick and John Lennon collection. Damn good company, boys! In a few words, “Sensory Overdrive” is the very best rock record to come along in ages. In a single word, it’s a masterpiece! glad I plugged the ear phones in and gave it a listen. Hey Dave a great review!! I knew as soon as i heard this CD, that you’ll love it!! Reading yoUr review you most certainly do. I think huge shame that Ginger couldn’t stick around. It will be interesting to see the new line-up at High Voltage Festival in London a week on Saturday. Ginger co-wrote the whole CD, and i don’t think the guy from The Backyard Babies is anywhere near the song writer Ginger is.. It was great while it lasted!! Monroes new album is full of power, songs like animals shouting loud, music like dynamite! Best ever from Monroe! U have to see it LIVE! Without Monroe there is no Guns & Roses, and still when others are history, story goes! Aaaack. Dave, I have weird eyeball issues sometimes (hard to explain) and this might give me nightmares. I think this album is fantastic. 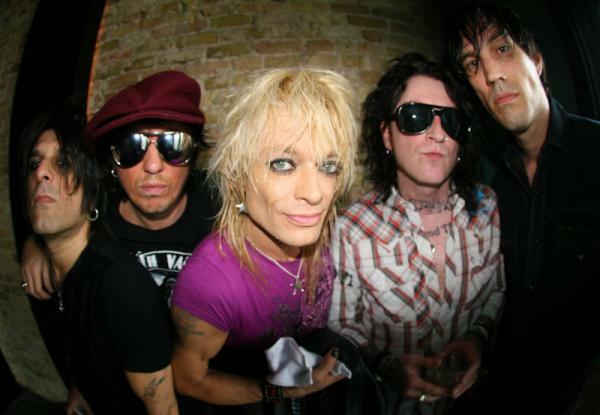 I am a little biased due to the fact that i think Hanoi Rocks was the best band to come out of that 80s glam rock scene(in fact i think every band from GnR to the cookie cutter sunset strip bands owe their careers to the Dolls and Hanoi). The album is great, its not as good as say Demolition 23(which is a must have for any rock fan)but a strong album in a very dull rock n roll world we live in today. I think every young kid who gets a cool hair cut and slaps eyeliner on should take some time out and listen to how a band like Hanoi or the MM band writes a song before they assault the public with a great image but no song! They are the best rock n roll band out on the scene today, Put them against say Axls version of GnR or Velvet Revolver and I think the MM band is going to come out on top!!! !